Leather is produced by processing animal skin in a variety of ways and this process is generally referred to as tanning. Animal skins are processed in order to preserve it and soften it for use in clothing, accessories, and other applications such as the manufacturing of furniture. Here we explore the history of leather in fashion. Leather has been used to create clothing since the existence of Cro-Magnon man during the Upper Paleolithic Period in Europe approximately 50,000 years ago. This time period saw man migrate from warmer regions of the earth to the northern hemisphere where it was significantly colder. 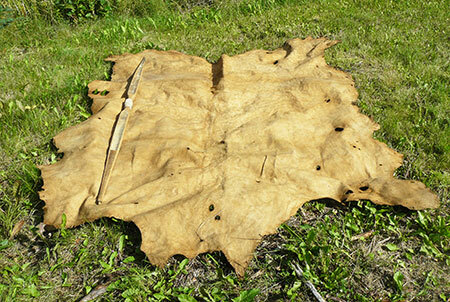 The colder climate saw prehistoric man learning that animal skins could be used to create clothing and they used a variety of methods in order to treat the skin such as boiling the skins in tree bark to soften them and almost all methods ended in rubbing the skins with animal fat in order to maintain the pliability. There is also evidence that the women of Sumeria and Mesopotamia wore garments made of leather as far back as the 5th-3rd millennium B.C and an almost entirely preserved gazelle skin loincloth dating from 1580-1350 B.C.E. was found in Egypt in the early 1900s. Over the centuries following, many countries such as France, Spain, and England began to perfect their own tanning techniques which turned into thriving businesses. While Europe was perfecting their own techniques long before the rise of online blackjack, Native Americans introduced Early European settlers in North America to the technique of oil tanning. Using the animal skins treated with oil tanning, the Native Americans created leather tepees which they decorated with bones, beads, feathers, and porcupine quills and they also painted their garments with elaborate designs. Owing to their exceptional tanning skills, the Native Americans were able to produce white leather which is an exceptionally difficult colour to achieve. Then, during the 19th century, an American chemist Augustus Schultz discovered a faster method of tanning by making use of chromium salts. Schultz’s innovation made it possible to reduce the time tanning took from weeks and months to just a few hours and engineers in America and Europe began to invent machinery and processes which further increased tanning productivity. Today, the processes and techniques of tanneries around the world are closely guarded proprietary secrets in order to maintain a competitive advantage. Some of these tanneries are even experimenting with vegetable tanning as an animal-friendly alternative to animal leather. Leather has held a certain allure to fashion designers throughout history and from the earliest ornamental garments worn by tribesmen to high fashion couture collections, the wearing of leather has always been equated with status. Leather represents luxury owing to the high cost and specialised craftsmanship required to process it and leather has also been used for thousands of years to create shoes and sandals.